Father’s Day is the time when sons and daughters gather with dad and the whole family to celebrate that special, paternal bond. Sometimes, it means tossing the ball around in the backyard, shooting hoops or playing 18 holes at the local course. Maybe it’s overcoming alcoholism or estrangement to coach the boy to a championship level. Or maybe it’s literally giving one’s life in the ring to achieve a boy’s dream. Wait, what? No, that only happens in the movies, and in sports there have been plenty of historic scenes highlighting the role of the father. 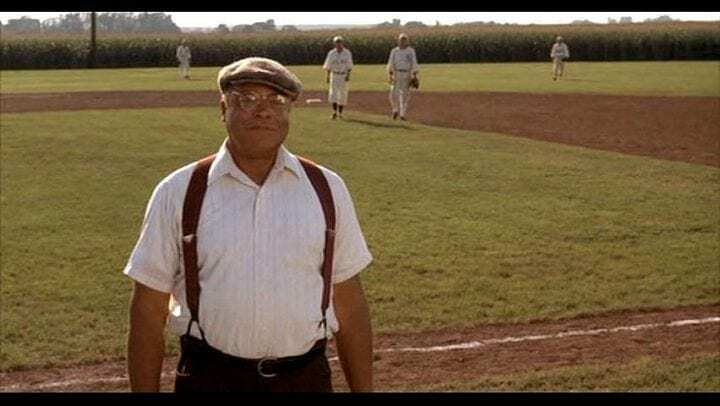 So as we celebrate Father’s Day once again, here are some of the most famous sports movie scenes about fathers ever shot. Is it heaven? From a cinematic standpoint, you better believe it is. 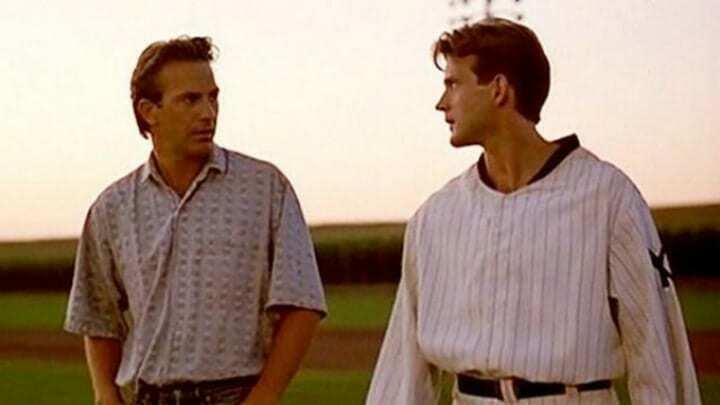 The 1989 smash hit is considered by many to be the greatest sports movie ever made, and certainly one of the most emotional, based on the W.P. Kinsella novel, Shoeless Joe. Kevin Costner, a pre-Goodfellas Ray Liotta and James Earl Ray weave a fairy-tale of sorts about an Iowa farmer at a life crossroads who discovers a new purpose and heals old personal wounds via a baseball field carved out of his corn crop on the urging of ghost-like voices and equally ghost-like appearances by the greatest legends of the game. “If you build it, he will come,” the ghostly voices tell Costner’s Ray Kinsella, and build a baseball diamond in the middle of his cornfield he does, much to the chagrin of his family, who believe he is destroying their last chance to save the farm. But when Shoeless Joe Jackson (Liotta) and several other baseball legends emerge from the cornfield to the diamond and play games that only Ray and his wife (Amy Madigan) can see, it begins a journey to Boston, then Minnesota, where Jones and Burt Lancaster, in one of his final roles, try to unlock the mystery of the voices and clues that keep popping up in Ray’s path. Finally, they all return to the farm in Iowa where the long-deceased players inquire whether or not they’re in heaven and Ray’s brother-in-law inquires about Ray’s sanity as he prepares to foreclose the farm. And then, it happens, Jones’ character, a novelist who loves baseball, explains in a stirring speech why the game is so compelling, why “people will come, Ray” to watch the games and save the farm, if only everyone believes in the magic of the game. And then Ray gets the answer to who the “he” in the voice’s message really is. Early on, we learn that Ray’s father was a baseball player in the era of Shoeless Joe, who was wrongly banned from baseball in the 1919 Black Sox scandal. Ray explains early on that their relationship was fraught with animosity, and that Ray broke his father’s heart by calling Jackson a criminal. “Ease his pain,” the voices had said. And now, a chance. 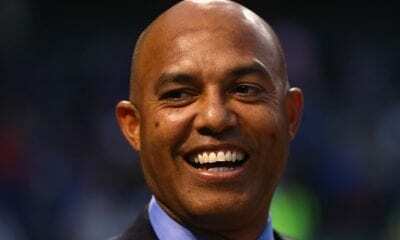 A ghostly player removes his catcher’s mask on the field and reveals himself to be Ray’s father. “Hey dad, you want to have a catch,” a tearful Ray inquires. 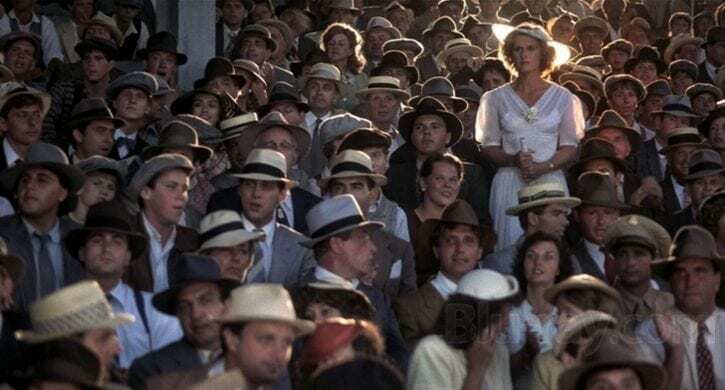 And if you’re not sobbing at this point, not even Dr. Moonlight Graham can save you. If “Field of Dreams” has a ghostly, ethereal feel, the Natural is almost super-natural in its tale of disgrace, lost dreams and redemption. 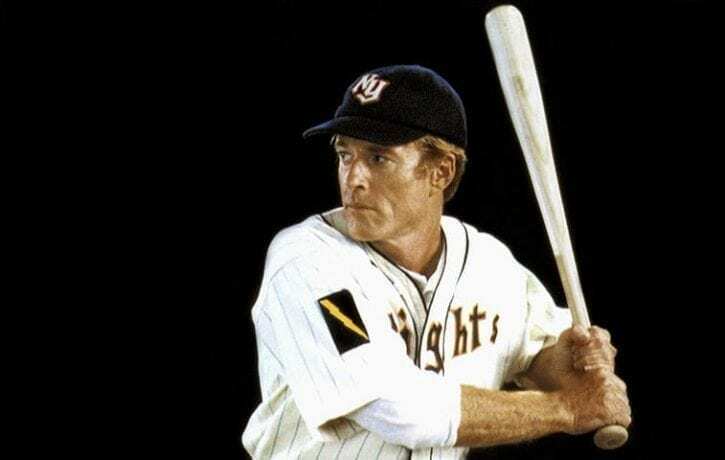 Released in 1984 and starring Robert Redford as Roy Hobbs, the star-crossed baseball star who reclaims his tattered career playing for the hard-luck New York Knights in the 1930s, the Natural was based – mostly – on the Bernard Malamud classic novel of the same name. 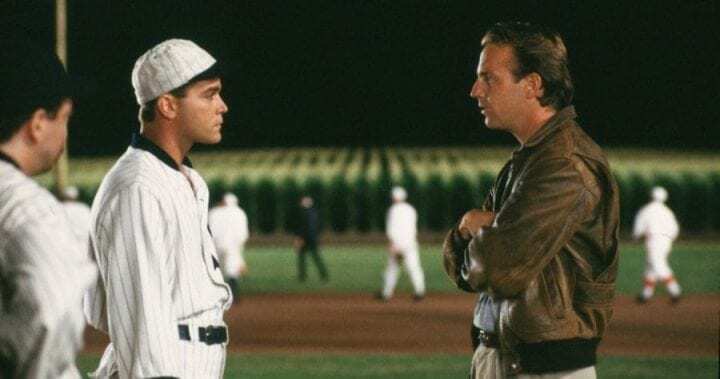 The movie quite famously takes some liberties with Malamud’s original story, especially the way the big one-game playoff for the National League title ends, but hey, it’s Hollywood and who wants to leave a baseball movie depressed? That’s what “Bang the Drum Slowly” is for. 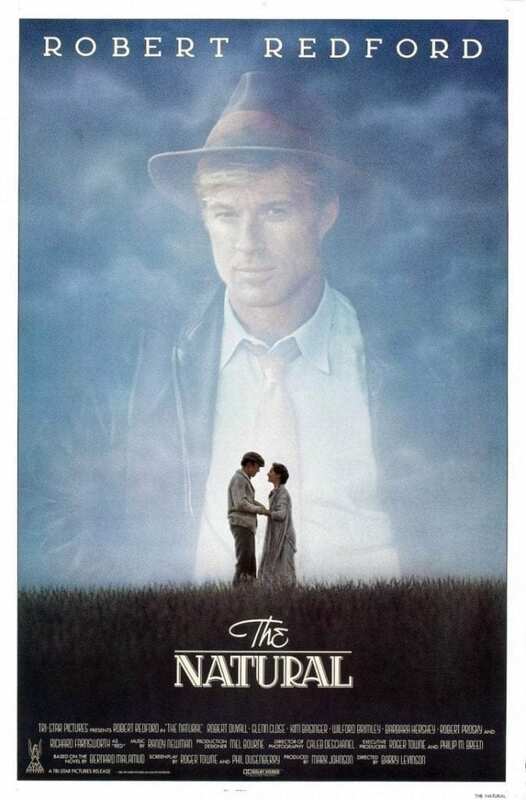 After Hobbs’ promising career as a young pitcher is derailed by a mysterious woman with a gun, Hobbs attempts a comeback as a hitter with the Knights, the worst team in the National League, run into ruin by shady owners trying to keep ownership away from the manager Pop Fisher (Wilfred Brimley), who stands to take over team control in the event of winning the pennant. 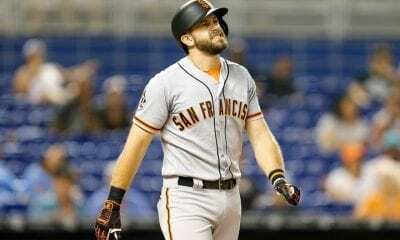 What no one knows — certainly not the dastardly owners who believe the player to be a washed-up has-been — is that Hobbs, with his hand-carved bat called “Wonderboy,” is equal parts Joe DiMaggio, Mickey Mantle and David Ortiz for his ability to hit for power, average and in the clutch. As Hobbs leads the Knights on an improbable run to the pennant, his is torn by the forces of evil and good, personified by the women in his life: “Memo” (Kim Basinger), placed in Hobbs’ path by the evil owners to distract and drain Hobbs’ abilities, and “Iris,” Hobbs’ boyhood sweetheart, and a little bit more, as we learn later in the film. Iris wins the day, literally standing up for her man at a game at Wrigley Field to break Hobbs out of his slump in smashing fashion with a mammoth home run off the famous hand-operated scoreboard and lead the Knights towards a one-game playoff against Pittsburgh for the National League pennant. But Iris has a secret she can’t quite bring herself to share with Roy: The son she’s told Hobbs about is actually his child, a product of their brief romance before he left the family farm on the ill-fated train trip to the Major Leagues that derails his life. When Hobbs is hospitalized on the eve of the playoff – his old bullet wound coming back to haunt him – Iris still holds back. 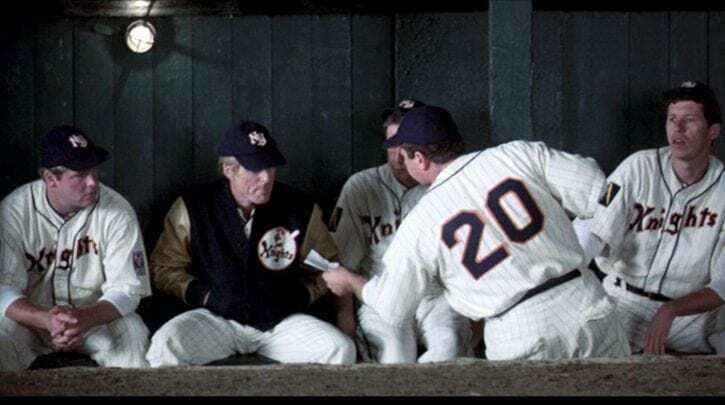 The moment finally comes in the middle innings of the fateful playoff game, as Iris manages to get a note to the dugout revealing to Hobbs that he has a son, and that he is in the stands with her at the game. The game reaches the ninth, and the Knights get two men on with two out, bringing Hobbs, the potential winning run, to the plate. Badly hobbled by his old wound that threatens to kill him at any moment, Hobbs stands in against the younger version of himself, a fire-balling closer for the Pirates, and quickly falls behind 0-2. 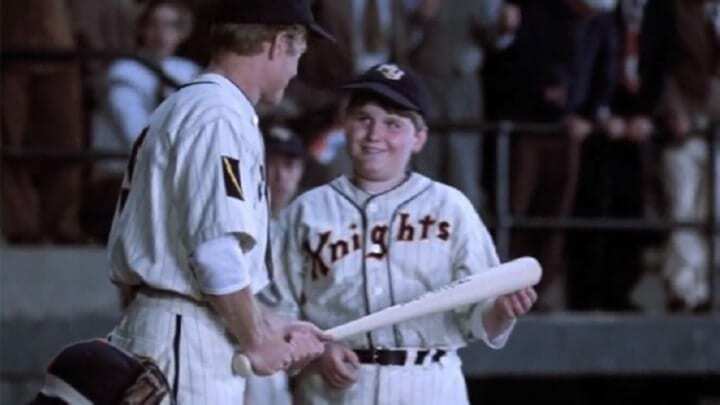 Even worse, “Wonderboy” shatters in half on a foul ball, and it’s falls to the batboy, little Bobby Savoy, who regards Roy as an awe-inspiring father figure, to provide the slugger with “The Savoy Special,” the bat Roy helped the youngster carve by hand. The moment when the awe-struck Bobby lingers near home plate as Roy takes the bat with an wink-and-nod acknowledgment of their father-son-like bond is enough to start the water-works, but then Hobbs does what he was always meant to do (Hollywood version) and hits the mother of all walk-offs. The ball crahses into the stadium’s lights, causing into an impromptu fireworks show as Hobbs slowly circles the bases to the movies dramatic score. You don’t need to be Jim Nantz to declare, “What a moment!” And to bring it all full-circle, the movie ends with Roy and his actual son playing catch as Iris looks on. Take that, Ray Kinsella! 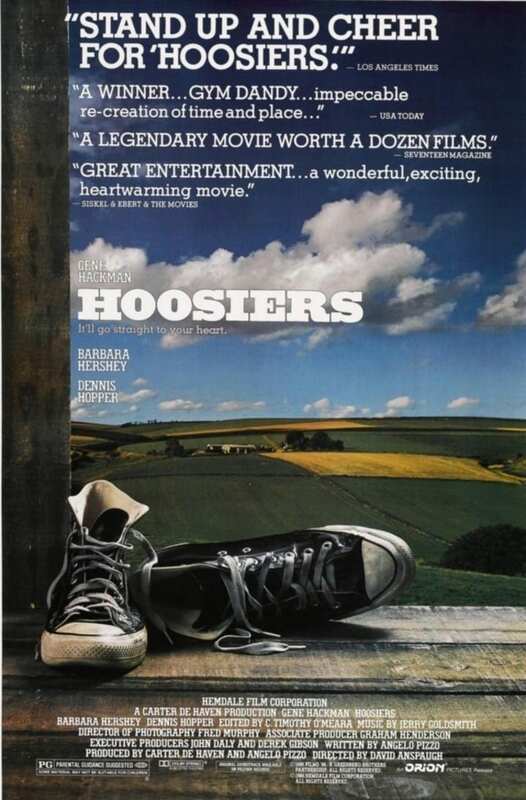 Hoosiers was the little movie that could when it debuted in 1986 to little fanfare, but solid critical acclaim. 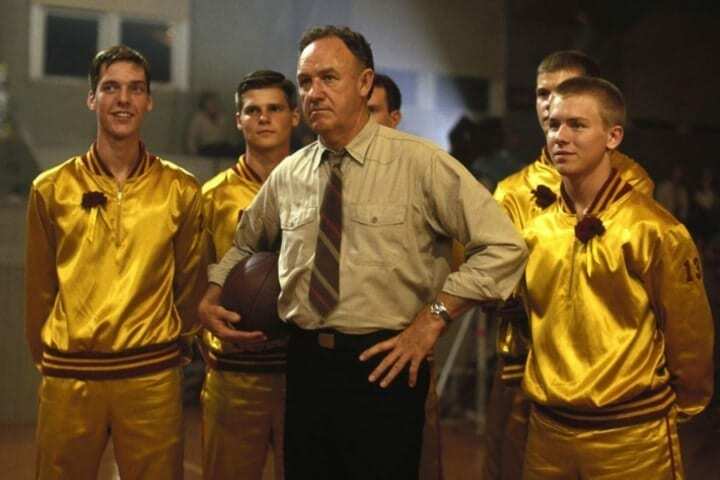 Like the small-town team at the heart of its story, Hoosiers would emerge as one of the greatest sports movies ever made, its heroes from Hickory High School becoming iconic movie characters and some of its scenes celebrated in popular culture to this day. What team of basketball longshots hasn’t been reminded that the rims at the cavernous arena before the big game are the same 10 feet high as their court back home? Though the story is based on an actual small Indiana high school that captured the state title in the early 1950s, the movie takes on a mythic quality in its story of team and individual underdogs overcoming all odds to succeed. 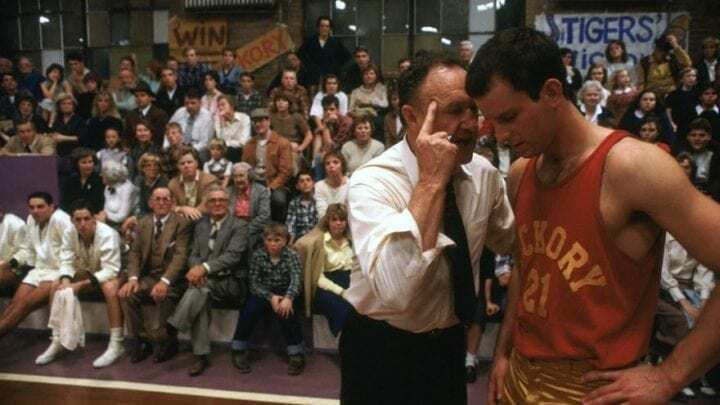 The story at the core of Hoosiers is that of the head coach, Norman Dale (Gene Hackman), who arrives in Hickory in 1951 a man with a talent for building a winner but a temper that cost him his college coaching career and forced him to the ranks of small-town high school ball. It is Dale’s journey of redemption that is the heartbeat of this underdog success story. Dale is able to put his past behind him and win over a skeptical townspeople who initially reject his brand of coaching and team-building to reach the Indiana state championship game. It doesn’t hurt that the best player in town, Jimmy Chitwood, decides to resume his playing career only if Dale remains on as coach. 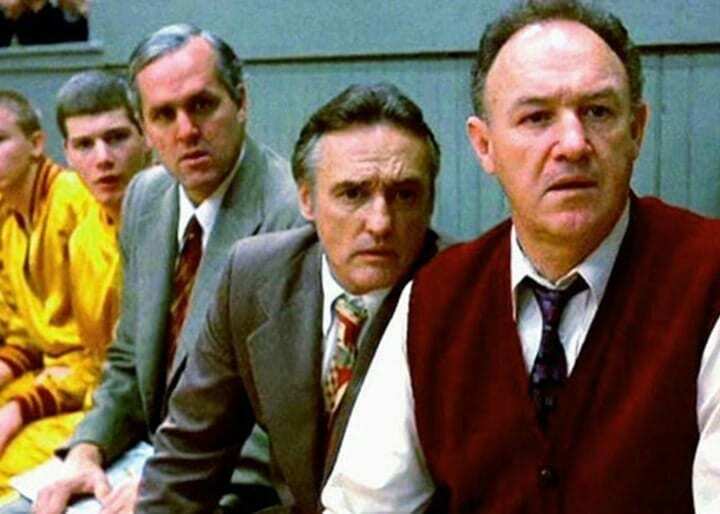 But there is a subplot in Hoosiers that explores the broken relationship between Shooter Flatch (Dennis Hopper), one of Hickory’s once-celebrated basketball players, now a down-on-his-luck alcoholic, and that of his son, Everett who has largely abandoned his father and is now a key role player on Dale’s Huskers. Everett is a tortured soul, embarrassed by the presence of his inebriated father at their games, worried about his well-being, yet angry at his dad’s lot in life. He seeks counsel from his coach, who takes it upon himself to try and rehabilitate Shooter, who still possesses a keen basketball mind when sober. Dale visits Shooter one night and offers him a deal: Get cleaned up and sober and Shooter can join Dale’s staff as an assistant coach. It is Shooter’s chance to redeem himself not just with the community at large, which has shunned him, but with his son, who is highly skeptical of the plan. But Shooter agrees to the plan and begins to sober up. Eventually, Dale forces the issue to break Shooter of his fears and restore his self-confidence and pride by getting a ref to eject him in order to force Shooter out of his shell. The plan works, as Everett helps coax Shooter into action with the game on the line. As a high school player himself, Shooter was a savvy basketball tactician, and with his son’s help, those instincts suddenly kick back in and Shooter takes control of the team. Free of his fears and his demons, Shooter designs a defensive play that results in a steal with seconds left, then confidently calls for the “Picket Fence” play – which gets a shooter free off a multiple screen for the winning shot. “Don’t get caught watching the paint dry!” Shooter says has his final instruction, and Everett can’t help but smile: The dad he’s always loved is back and Everett couldn’t be more proud. Neither could we. Happy endings on Father’s Day? 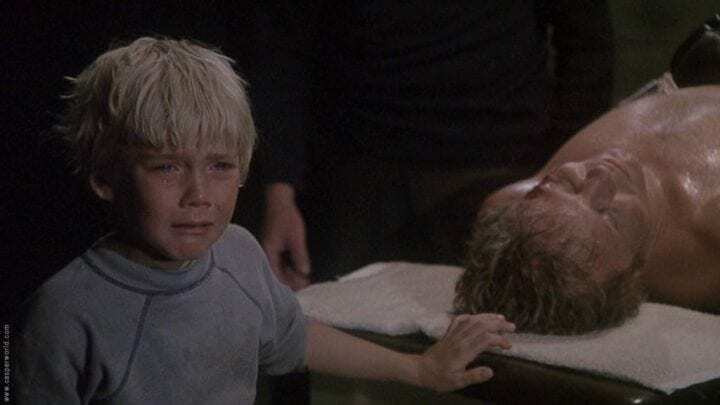 Not in this film from 1979 that introduced the world to a young, blond-haired boy named Ricky Schroder. 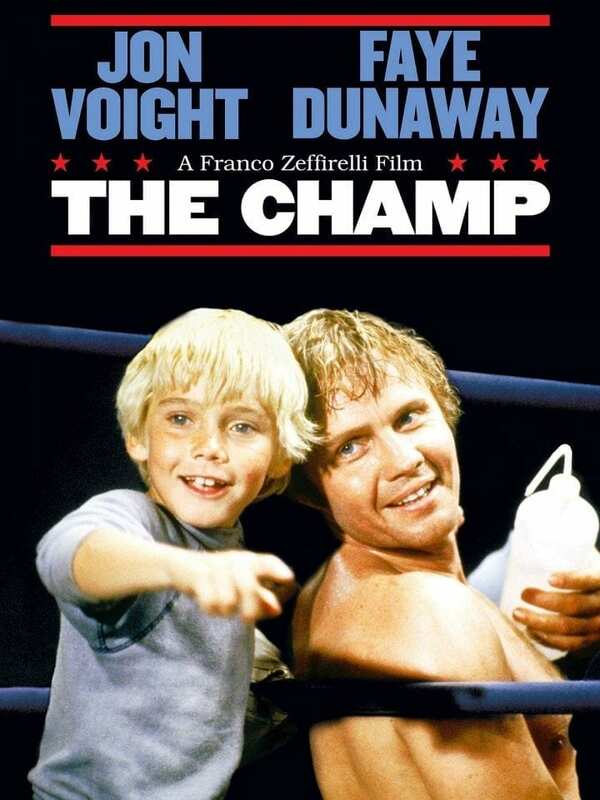 The story of a washed-up former boxing champ (Jon Voight) who takes a final shot at glory in order to better support his son comes with one of the more tragic endings in a sports movie. Voight’s boxer, Billy Flynn, wins the big fight, but pays the ultimate price, dying of his injuries in the trainer’s room after the fight with a sobbing T.J. at his side. No Silver Spoons or happy endings for the blond-haired boy in this film. How traumatic was this final scene, with little Ricky imploring, “Champ, wake up!” to no avail? According to a 2011 article on Smithsonian.com, the scene is considered so sad that it’s often used by psychologists to induce sadness in their subjects. And as Brian Fontana might say, 60 percent of the time, it works every time. The movie has been used to test the ability of computers to recognize emotions by analyzing people’s heart rate, temperature and other physiological measures. It has helped show that depressed smokers take more puffs when they are sad. “I still feel sad when I see that boy crying his heart out,” said Cal researcher James Gross, who helped author the study. 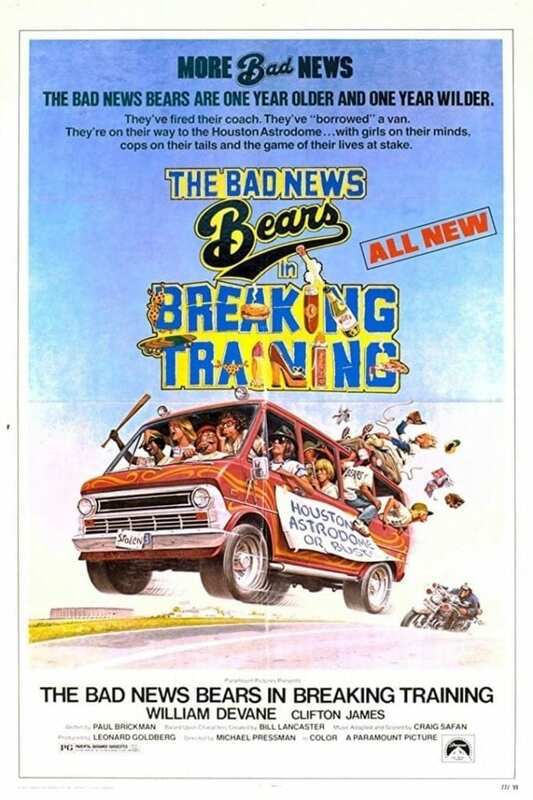 This second installment in the “Bad News Bears” franchise is far inferior to the flagship hit (although far better than the third movie and the TV series). Walter Matthau is long gone in this 1977 sequel, and so is Tatum O’Neal. But most of the rag-tag team is back, including Tanner and Kelly Leak. 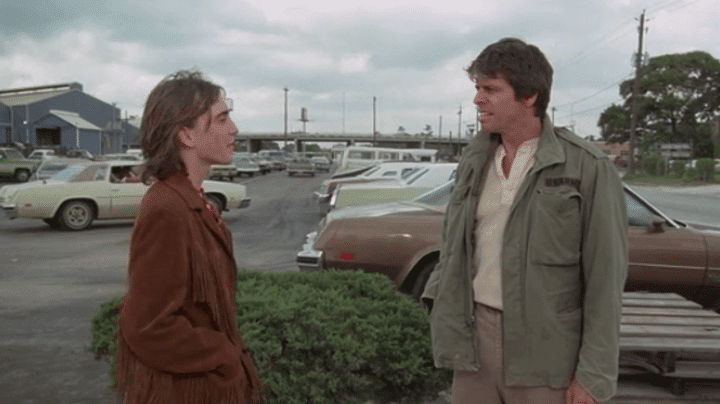 And it’s the fractured relationship between Kelly (Jackie Earl Haley) and his estranged father (William Devane) that provides the emotional backbone in an otherwise campy “road trip” film that finds the Bears headed to the Houston Astrodome for a game against the terrible Toros and a shot at a trip to Japan. 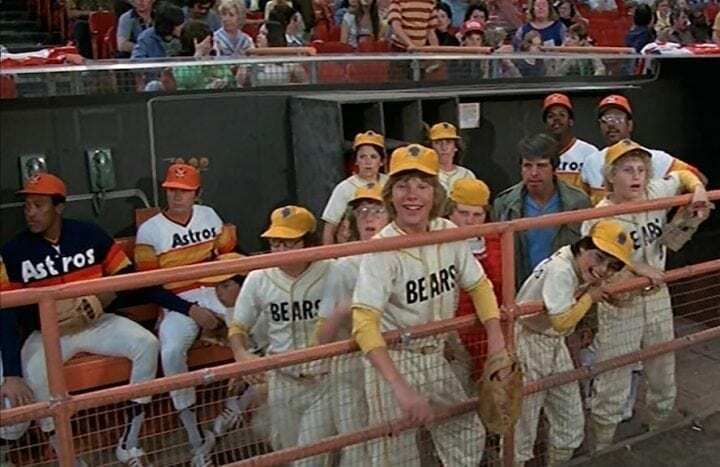 In order to gloss over the loss of Matthau and O’Neal’s star power from the sequel, the plot revolves around the Little Leaguers on the search for a new coach to guide them to their showdown with the Toros in Houston. The team piles into a van and hits the road, with the underage Leak behind the wheel and nominally in charge of the troops. But they need an actual adult to run the show, and Leak reluctantly turns to his estranged father, played by William Devane as the new adult lead actor, who agrees to chaperone the motley crew on their cross-country journey and coach the kids up into legit Little League All-Stars. Finally, the group reaches Houston and the big game. But when the Toros sprint to a big early lead in the pivotal contest — taking place between games of a Houston Astros doubleheader — officials declare time is up and the game is over, even though there are still innings to play. This, apparently, is Major League Baseball’s first known attempt at speeding up the pace of play. As the Bears are told their 15 minutes of fame — rigidly timed — are up, several of the Houston Astros players, including Bob Watson and Cesar Cedeno (1970s!) 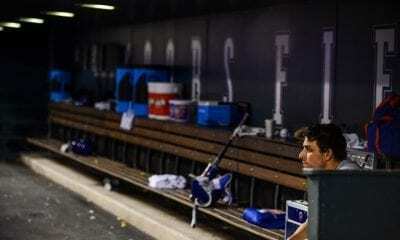 emerge in the dugout and encounter the crestfallen Bears. Leak’s dad hears the rallying cry that will resonate with movie fans for decades and seizes the moment, pops out of the dugout and cajoles the Astrodome crowd into chanting “Let them play!” Kelly watches his dad go to bat for him and his friends, and the father-son bond is repaired and flourishing. The game re-starts after all, the Bears rally and this time, they win! It’s a feel-good movie, after all! Not every father-son movie relationship is a healthy one (see Eagles fans Robert DeNiro and Bradley Cooper in Silver Linings Playbook), but just because there’s hard feelings, it doesn’t mean you can’t have a good laugh at its expense. 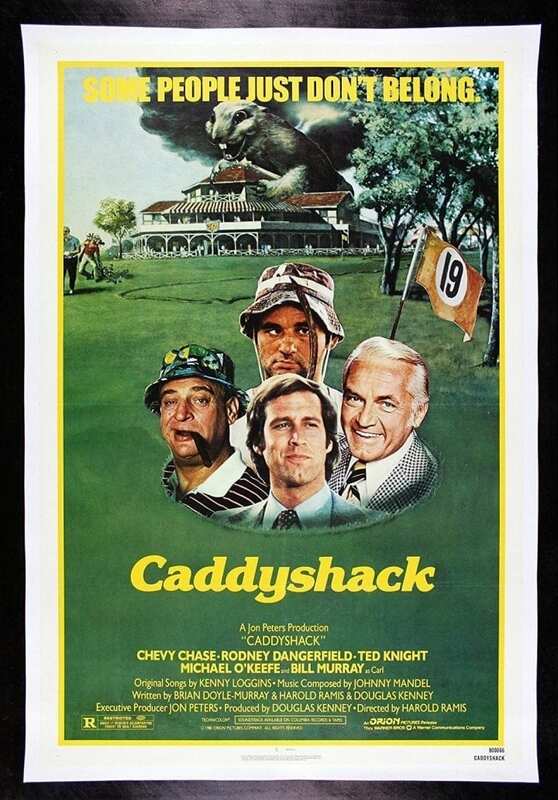 With that in mind, we take you to Bushwood Country Club, the setting for the 1980 comedy classic, Caddyshack, and home of some of the biggest snobs in golf. It’s the story of one caddie’s journey from the links of Bushwood to a decent college education. It’s also, most famously, a raunchy, anti-PC free-for-all from the same minds that gave us “Animal House” just a couple of years earlier. It’s gross, it’s in bad taste, it’s inappropriate. It’s a movie legend. The movie is famous in part because of the star turns by Chevy Chase as Ty Webb, the charismatic top golfer who takes the title character, a caddy named Danny, under his wing and Rodney Dangerfield as the boorish, trouble-making wise-cracking, politically incorrect club member Al Czervik. 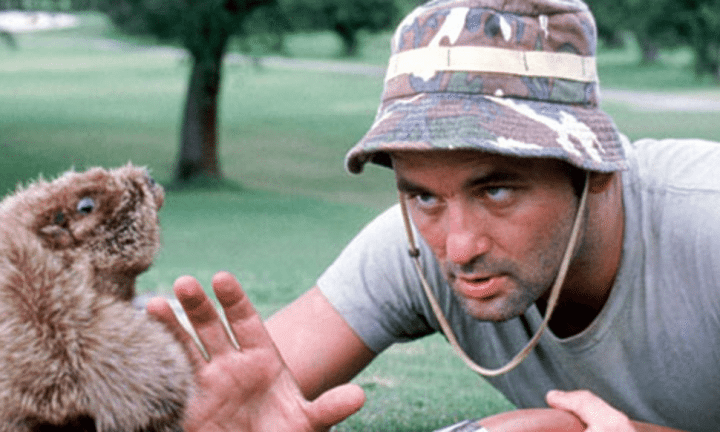 And then there’s Bill Murray in the movie-stealing role as Carl Spackler, the head groundkeeper, Masters hopeful, dynamite expert, enemy of gophers everywhere and the custodian of future total consciousness, which is nice. Not to be outdone, it’s he gopher himself, one step ahead of Spackler and dancing to Kenny Loggin’s theme song, “I’m All Right.” And he was. But none can match the haughty buffoonery of Judge Smails, played to the hilt by Ted Knight, the snobbiest of the snobs, and a grandson who is spoiled beyond belief. Enter Spalding Smails, who ends up with some of the funniest moments in the film, despite being a bit character. But this cinematic review is all about Father’s Day, and nothing says father figure quite like that moment when the bratty kid gets put in his place. After a few seconds of witnessing this pathetic display, it’s clear that the impatient Judge Smails has had enough of the petulant child. He cheeks red, his eyes bulging, the Judge takes a whack at Spalding as if he were wielding his beloved putter.